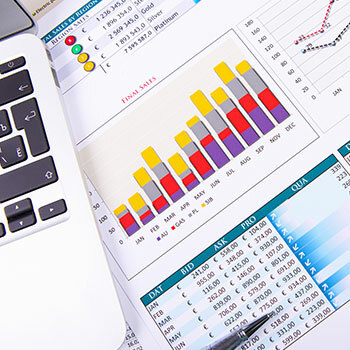 The Lazaridis School of Business and Economics’ Graduate Diploma in Accounting builds upon your Laurier undergraduate accounting program and provides a structured and comprehensive path for those working toward the Chartered Professional Accountant (CPA) designation. This 12-week program, offered every summer and fall, enhances your knowledge of the technical and enabling competencies required by CPAs (such as financial reporting, tax, auditing, professionalism and problem solving), and prepares you to complete the Common Final Examination (CFE). Upon completion of the program, you will enter the CPA’s Professional Education Program (PEP) at Capstone 1, thereby bypassing the first four modules of the PEP. The program is accredited by Chartered Professional Accountants of Ontario (CPA Ontario) and enables you to obtain advanced standing in the first four modules of the CPA PEP. Successful students will be qualified to take any combination of paths for the CFE (financial accounting, management accounting, audit and assurance or taxation). Benefit from university-based instruction by outstanding faculty who have CPA designations and experience session leading and facilitating for CPA Ontario. Leverage the strengths of the Lazaridis School of Business and Economics and Laurier’s longstanding commitment to high-quality accounting education. Complete a substantial proportion of the PEP modules before you begin full-time employment, alleviating the stress of studying while working. Face-to-face instruction for the full term, ensuring that you understand the material as you go – with help just a hand raise away. You are also able to take advantage of office hours or connect with instructors anytime throughout the term. Students with offers of employment from accounting firms or approved training offices should inquire with their employer about potential tuition subsidies. This program is designed to be completed in one term, full-time. Students who have finished their undergraduate degree will complete this program in order to prepare for the CPA examinations (the CFE). This program, designed to facilitate CPA preparation, will provide you with advanced and integrated knowledge in financial accounting, management accounting, auditing and taxation. You'll gain technical and practical skills that will benefit your future career advancement. All of the program's courses are designed to address the competencies outlined in the CPA Competency Map. Note: If you are planning on pursuing a CPA designation and taking CPA Ontario's PEP program, you must ensure you have all the required courses to enter PEP at Capstone 1 (i.e. to bypass Core 1, Core 2 and electives). It is possible to have met requirements for a Laurier degree program without having met requirements for CPA Ontario's PEP program. The Graduate Diploma in Accounting prepares students for careers as Chartered Professional Accountants (CPAs) working with CPA firms, public and private companies and government through development of excellent accounting, audit and tax related skills. The program brings together managerial accounting, financial accounting, taxation and auditing.